LESSON 2: Can You Say Grrrr? LESSON 3: Light or Dark? LESSON 7: Where's the /th/? Students will be able to recognize and write the blend /gr/ as part of practicing grade level phonics. Building a Groundhog puppet helps students recognize a common blend - /gr/, which helps build fluency when reading. 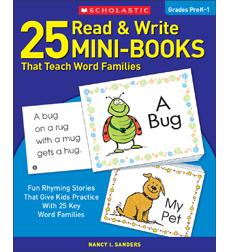 Blend and segment onsets and rimes of single-syllable spoken words. Add drawings or other visual displays to descriptions as desired to provide additional detail. Demonstrate command of the conventions of standard English grammar and usage when writing or speaking. Sort common objects into categories (e.g., shapes, foods) to gain a sense of the concepts the categories represent. Gather students on the rug using a preferred classroom management technique. I like to use my “Stop, look, listen.” The students stop what they are doing, look at me and listen for the direction. I usually preface the direction with, “When I say go…” This reminds the students to listen to the whole direction before moving to follow the directive. In this case I would say, “When I say go I would like you to clear your space, push in your chair and go take a spot on your dot. Walking feet, go.” By saying walking feet I am reminding the students to use walking feet in the classroom to ensure safe movement between areas. When all of the students are seated on their dot in the rug area I tell them they are going to watch a short video about a mammal called a Groundhog. I select a student who is following the correct protocol of raising their hand and waiting to be called on. I will select enough students to respond to the question to cover three of the basic characteristics of a mammal. Again I select a student who is following the correct protocol. Once again I select a student who is following the correct protocol. “Let’s go ahead and watch our short video clip. Remember to use your good observing skills to see what new information you can learn.” By telling the students to use their “good observing skills,” I am reminding them to listen for new information and to watch for interesting facts. Video about Groundhogs from the Animal Planet Website. 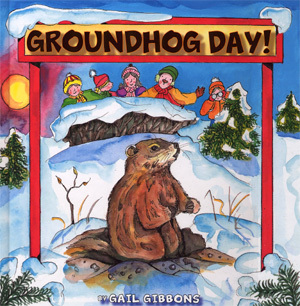 I use this short video clip to arouse their curiosity and set them up with some prior knowledge before reading the book about Groundhog Day. Having some prior knowledge helps students make sense of what is begin read and can also help them decode unknown vocabulary words. Again I select two or three students who are following the correct protocol. During reading I will stop and ask the students to “refresh my memory” as to what some of the vocabulary words mean. Words like; predator and prey, from our Forest unit; and celebrate and religious from our Around the World unit. We will discuss why the early settlers watched the hibernating animals for an idea as to when the weather would change. After the book has been completed I tell the students to take a seat around the edge of the rug. I select a student who is following the correct protocol of raising their hand to respond to the question. Again I select a student following the correct protocol. I select a student to respond. “Right Ava; /gr/ is made up by the letters g and r.” Why Blends? “Today at one of the integrated work stations you are going to make a paper bag groundhog puppet like my friend Gregory here.” I hold up my own paper bag groundhog puppet. “At this station you will find all the materials you need to make the puppet such as a paper bag, scissors to cut out the pieces, glue to stick the pieces to the paper bag and crayons to color your groundhog. You will also find these two pieces of paper.” I hold up the two pieces of paper that I am talking about. “On these two pieces of paper you will see a variety of items. It will be your job to look at the items and figure out which ones have the same beginning blend as the word “groundhog.” Once you have sorted out which items have the same beginning blend as the word groundhog, you will cut them out and glue them onto the back of your groundhog puppet.” I make sure to continually say the word groundhog and emphasize the initial blend. This helps the students keep the blend sound fresh in their mind. I allow the students to call the answer out altogether. “Table number one let’s go have some groundhog fun. Table number two, you know what to do. Allow the students 15-20 minutes to work on this activity. Set a visual timer and remind the students to look at the timer so they will use their time wisely. When the time is up I blow two short blasts on my whistle and use the “Stop, look, listen” technique mentioned above. Students know to put completed work in the finished work bin. Any work that is not completed goes into the under construction bin and can be completed throughout the day whenever the student finds he/she has spare time or it will be completed during free choice center time. Once the students are seated I tell them that their exit slip for today is to tell me a word which has the blend /gr/ as its initial sound. I hold up my arm and look at my watch as I “time” their thinking. I also pretend to be thinking so the students stayed focused on thinking. I use the fair sticks to determine the order of the students. Once a student has told me his/her /gr/ word they are able to use the hand sanitizer and go to get their snack. If a student is unable to give me an answer, they know they can do one of two things. They can wait until everyone else has gone and then we will work on coming up with a /gr/ blend word together. I use the Groundhog Paper Bag Puppet checklist to go over the student’s work and once it is complete I will place the student’s work in his/her collection portfolio. Looking at the student’s work with the checklist helps me to stay focused on the point that I am looking to see if a student can differentiate between a blend and an initial sound. For example a student may select to put the image of the gorilla onto the bag. This shows me they can isolate the initial sound, but they need more practice at identifying blends as a pair of letters which combine to make a specific sound. At one station the students’ will work on making a paper cup groundhog puppet. At another station the students’ work on completing an –og word family book. I have the students work on the -og word family because it can be tied in with the animal we used in the main activity. I like to take advantage of every opportunity and the - og word family can be easily introduced through the word groundhog. I like to use these mini-books as a way to reinforce a concept in a fun self-directed way. I do not have to constantly man this station. I can just check in with the group at the beginning of the rotation to ensure everyone understands what is expected of them and then again at the end to see that everyone has completed the task. Sorting it All Out, Seeds! Kindergarten Science Â» That's the way to plant one! Kindergarten ELA Â» Phonemic Awareness; the KEY to the door of reading!